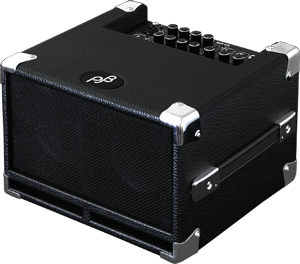 The Briefcase uses two 5″ loudspeakers, what makes the compact design of the enclosure possible. 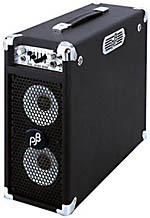 A very unique feature is the power supply: you can use it with 220V/110V AC, 12V DC or with an internal rechargeble battery (a 12V DC coiled charging cable is included). I often use the Briefcase for smaller gigs. 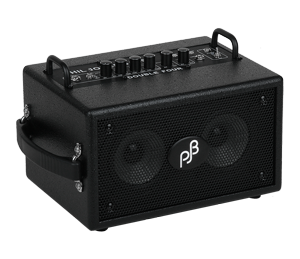 It is very well made, has a great sound, and a very effective 5-band EQ. 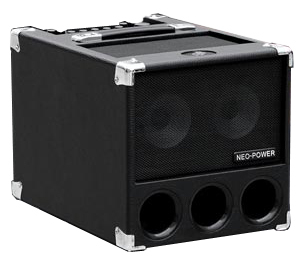 However, the Briefcase might be underpowered for real loud gigs. I never used the battery option so far. I have used the battery option outdoors and it worked well-3 40 min sets upright jazz with drums. I have also used it in a three piece Classic rock context where it just makes the grade. Good sound.